We recommend our True Antiquity vacation package to guests who want to experience the amazing history of Spain while travelling to Madrid, Seville, Granada and Barcelona in luxury. Visit unique small villages and towns, explore dramatic settings, and get a first-hand feel for some of the most spectacular sites embodying the rich history of this part of the world. Welcome to Madrid! Meet your True Spain host at the airport in Madrid, and make your way to your luxury Madrid hotel for your first night. 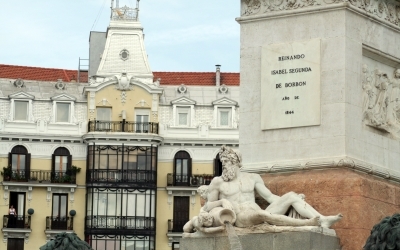 Known for its elegant squares and stately architecture, Madrid is a capital with a bustling nightlife, busy business center and lively streets both day and night. 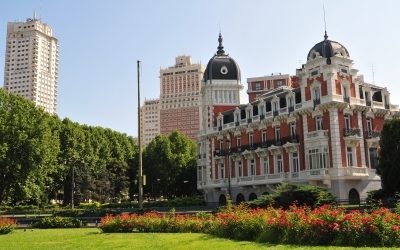 After checking-in to your boutique Madrid hotel, head out to discover this beautiful city. Enjoy a guided tour with your expert guide, and discover highlights of the city, including world-renowned museums such as the Museo del Prado, Centro de Arte Reina Sofia and Museo Thyssen-Bornemisza. Tour the majestic Royal Palace and stroll through some of the city’s exclusive shopping and residential districts. After wandering Madrid’s historic squares and lively markets, stop in at one of the many exquisite restaurants or tapas bars and experience the city’s exceptional gastronomic creativity and innovation – enjoy! Next your off to Andalusia, one of most culturally alive regions of Spain, and to its capital, the beautiful and world famous Seville! Having checked-in to your authentic Seville boutique hotel, head out to discover this quintessentially Andalucian city. Take an insider’s tour with your local private guide and explore the city’s rich Islamic heritage. Tour the gardens and mosaic tile-covered rooms of the spectacular Moorish palace of Reales Alcazares and learn about this city’s rich heritage of art and architecture. Wander the charming neighborhoods of narrow, winding, medieval lanes and attend a local flamenco performance. 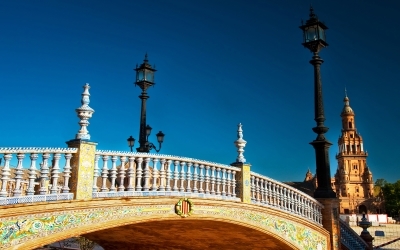 Seville is a city full of relaxed, fun-loving crowds – it is an experience you’ll never forget! Having checked-in to your luxury boutique hotel, venture out to discover one of Spain’s finest gems - the city of Granada. Home to the UNESCO World Heritage monuments of the Alhambra, the Generalife and the Albayzin, no other destination in Spain, or even Western Europe, can compete with Granada's Islamic legacy. Together with your expert local guide, immerse yourself in a world of winding hilly streets, full of Moorish fountains and teterias (Arabic tearooms); discover the important cultural centers of the city and tour the labyrinthine streets of Albayzin and the old Arab Quarter. If you’re one for the arts, definitely enjoy one of the many cultural festivals including film, music and theater. 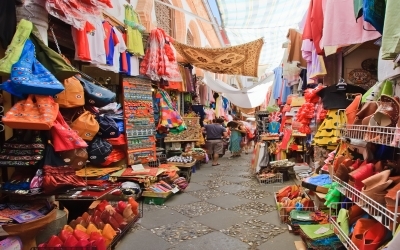 Granada is a city that will surely enchant you. Next you’re off to Barcelona! Once settled into your luxury boutique hotel, venture outside to explore one of Europe’s most vibrant centers of modern design and extraordinary cuisine. Enjoy a guided tour of this exciting city and discover incredible works of architecture including Sagrada Familia and Park Guell. Stroll Barcelona’s grand boulevards and explore the narrow streets of the Gothic Quarter and La Ribera. Visit some of the city’s excellent museums, such as the Picasso Museum and Miro Museum, but also be sure to take-in some of Barcelona’s shopping districts, stopping at upscale boutiques along Passeig de Gracia and design shops in the stylish Born and Raval neighborhoods. 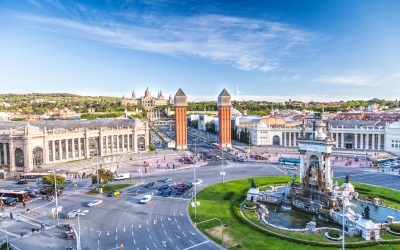 By the end of your stay in Barcelona, we are sure that you will love this extraordinary, exciting, and truly unique city. Having already explored the city of Madrid, after checking-in to your hotel head out to your favorite part of the city or discover another area that you missed during your first stay. We highly recommend enjoying a leisurely stroll through one of the many fashionable neighborhoods using our Madrid restaurant recommendations list and enjoy a farewell dinner at one of the best restaurants in the city. You are sure to leave Spain full of wonderful memories.